Hi everyone, I'm up today with a quick and easy project. In September's kit from Clique Kits there was a bottle of chalkboard paint and I just had to play with it. I took a plain old clipboard and started painting it in a bright pink color. 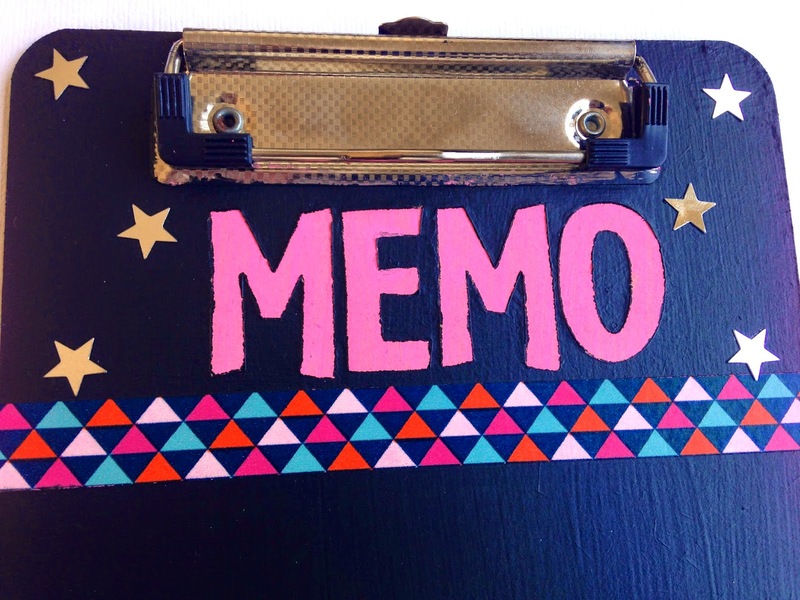 When that first layer was dry, I placed the word 'memo' with the Hazel & Ruby Brooklyn alpha masks in place and started painting the clipboard with the chalkboard paint. For the best result it needs a second layer of paint an hour after the first one. After the second layer I took the masks off and gave it a 24 hour dry. 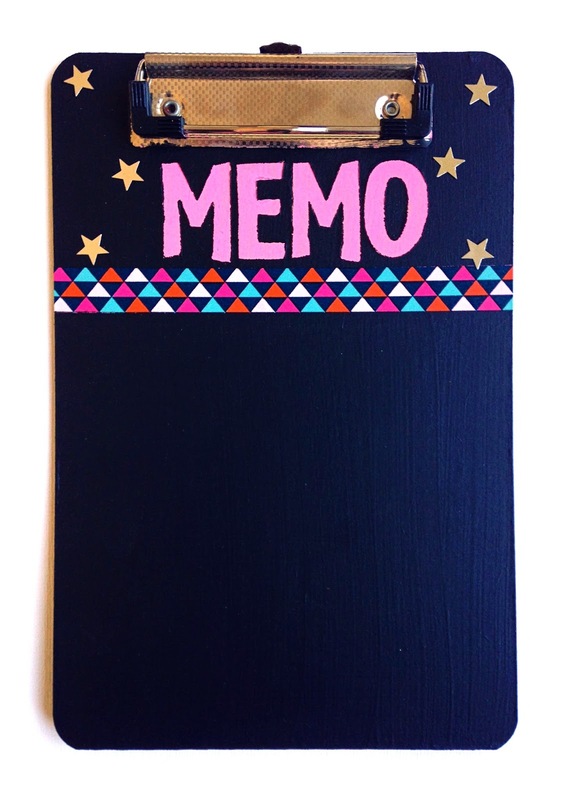 I finished the clipboard with a strip of washi tape and some silver stars. Such a cute project, Danielle! That is one of my favorite washi tapes ever! !